Today I spent the day creating a base for my 1200L fibreglass fishtank. 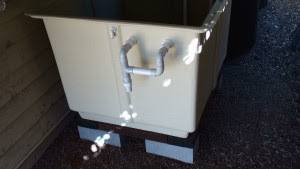 The fishtank is one of Murray Hallams designs from Aquaponics Made Easy. The base needed measures 1.2m x 1m in size and will fit nicely around the back of my garage. I have space there for 2 of the fish tanks so one day I am sure I will get another one! The base is really important to get right and level and in this case I will be making the base out of blocks and sitting on top of the blocks will be 70mm thick sleepers. First thing I did was clear the existing pebbles that are in the ground and excavate about 10mm. The blocks themselves will be sitting on a base of crusher dust. Crusher dust is excellent because it is cheap, easy to get anywhere and compacts down. So you can easily spread it, them wack it down with something heavy like a piece of wood to compact it, and then place the block on top. I made my measurements out from the garage wall as I wanted the tank to run parallel to the wall and quite close to it. So I made the measurements and hammered some steaks into place then attached a string line. You can see that the steaks are placed past the corners. This means that where the string lines intersect gives you your corner. After placing the first block, you can then get a height for the top of the stringline. This allows you to easily set the height for all of the future blocks. 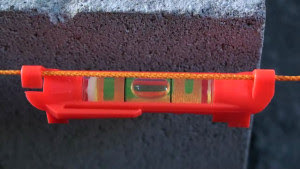 You can see in one of the pictures a level that you attach to the string line that allows you to get the stringline level. Make sure that you make the stringline really tight! I was constantly checking the levels! I found a mallet useful to make minor adjustments and my foot to make sightly larger ones - like if I had to make one end lower I would wack it with my foot. Once I got a block level, I would then check it against another block by making the level go across both blocks. Sometimes I had to make a few minor adjustments, but most of the time I could get the heights correct thanks to the stringline. 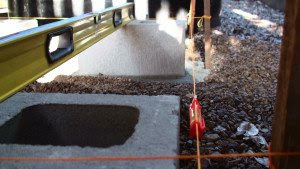 If your blocks are level then placing the sleepers on the blocks, the sleepers should be level as well. So if you place a sleeper on and then the level shows an issue, then there may be an issue with the sleeper. It may be bowed or different thicknesses at each end. 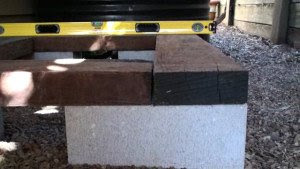 These sleepers are 70mm thick hardwood. They come in 2.4m lengths, so cutting one in half would give me the 1.2m length I need. The first one I cut had one end which was less then 70mm thick. I didn't notice this until I placed the sleeper which went width ways. When I did that, it was then I noticed the difference in height between the two sleepers. This is something to be wary of with hardwood sleepers as they are only rough cut and may have issues like this. 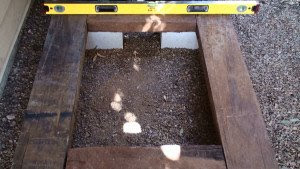 After I was happy that all of the blocks were fine and the sleepers were all good, I then raked the pebbles up against the blocks so that they covered the crusher dust and gave a little support to keeping the blocks in place. After the tank is filled, there will be over a ton of weight pushing down, so those blocks wont be moving anywhere! So that's it for the fishtank base. I hope this has been useful and if you have any questions, ask away. 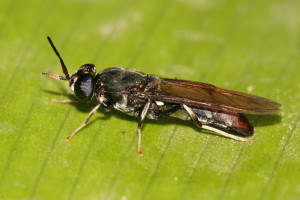 This article will take you for an in depth look at the BioPod and talk more about the Black Soldier Fly - which I will call BSF for short. We are not so interested in the fly itself but in the grub - as that can be used for feeding your fish in an Aquaponics system. 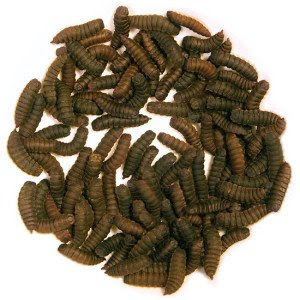 The BioPods purpose is to produce the grubs which are a result of the 6th stage of pupation. This final stage is before it morphs into a fly. The BSF larvae I'll sometimes refer to as grubs. They are often called phoenix worms or soldier grubs and are often sold live in pet food stores. The adult BSF look less like flies and more like wasps. The BSF does not have any mouth parts, hence it won't be a problem around food and won't transmit disease. In a typical worm farm or compost there are a variety of meats and foods that you would never put in there. But not for the BioPod - you can throw it all in, even animal manure, they love it and will consume it quickly. 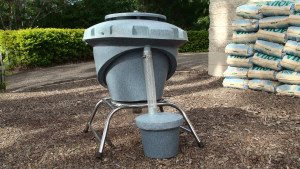 The BioPod creates an ideal environment for the grubs and best of all they will harvest themselves conviently into a bucket when they have reached their final stage of pupation. This gives you a system that very efficiently recycles wastes and in the process creates an excellent food source for a variety of animals. There are many many uses for the grubs. One of those is for feeding fish. In Aquaculture and Aquaponics, the grub is increasingly being used as a food source in order to reduce the use of fish pellets. It is also quite nutritional, being very high in protein. Other uses include feeding birds, repitles, chickens and a range of other animals. Here is a quick fly-thru of BioPod. After the larvae has gone through its 6th stage of pupation and no longer has a mouth, it will make its way up the 35 degree ramp. Once it reaches the top, it will nosedive down the hole and end up in the collection bucket - ready for you to harvest it! During the warmer months you will get a much larger production and hence need to feed them more. If you have more then you need on any given day, then simply freeze them for the colder months when production isn't as prolific. By freezing them, you can have a plentiful supply all year round. 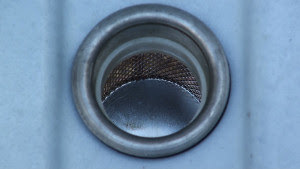 Here is the filter located in the centre bottom inside the BioPod. 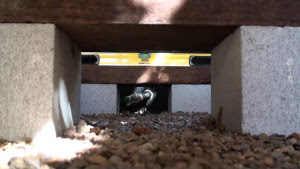 The liquid flows out of the hole, through the filter and into the container underneath. The liquid can actually be used as a fly repellent for other flies except BSF which it will attract. This is the container which is removable by twisting it off. You can also use the liquid as a plant fertilizer. 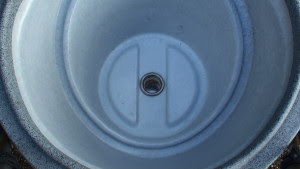 In the removable cap that sits on the top of the BioPod is a gap that allows the BSF easy access into the BioPod. 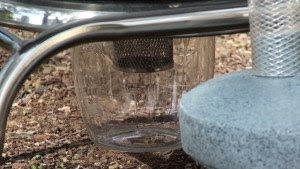 The BSF secreet a fly repellent for all other species of flys, so you shouldn't have to worry about filthy flys getting into your BioPod when you have BSF in there. The BSF adult wont eat anything, as it doesnt have a mouth. Its only purpose as an adult is to mate and lay its eggs. The eggs hatch about 5-8 days later. The lifespan of the adult is very short, only about a week. Your now looking under the cap. The adult likes to lay its eggs either above or next to a food source. Under the cap you will see a white disc shapped object. This disc is the ideal place where adults will lay their eggs. The eggs will take about 4 days to hatch. When they hatch, they will fall into the food and start munching away. 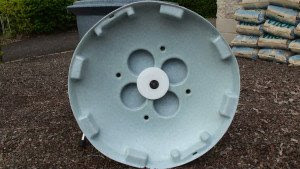 If you want to produce grubs on a large scale, then there are commercial versions available. Today we have had a look at the residential version. The official website for the BioPod can be found at TheBioPod.com At the site you will also find a forum where you can get all of your BSF and BioPod questions answered. 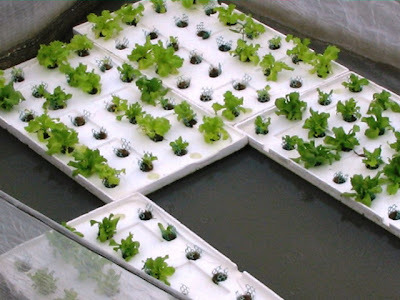 Want to find Aquaponics Systems that are in your area? Then see the Google map of Aquaponics installations from around the world. We are attempting to create an easy to use map that shows all the backyard Aquaponic systems (and the people that run them!) from around the world. This will allow you to easily find other Aquaponics enthusiasts to get in touch with and learn from. So even if you are thinking of starting an Aquaponics system - add your details. You never know, there may be someone just around the corner who is thinking of starting as well! This map also has the potential to list Aquaponic open days - when owners allow the public to come and have a look at their systems and have a chat about Aquaponics. Any ideas or feedback you may have on the Aquaponics Google map - please let us know! 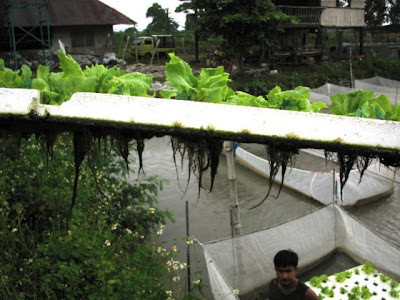 Aquaponics is the combination of Aquaculture (fish farming) and Hydroponics (soil-less growing of plants). It combines fish and plants in a "closed" integrated system. Closed means that there is no water loss - so Aquaponics is a very water efficient way of growing plants and fish, requiring only one tenth the water! Fish wastes in the water are converted by beneficial bacteria to nutrients (plant food). Plants then use the nutrients to grow and clean water is then returned to the fish tank. The fish, plants and bacteria create a mutually beneficial relationship where the only input needed is to feed the fish and top up the water. 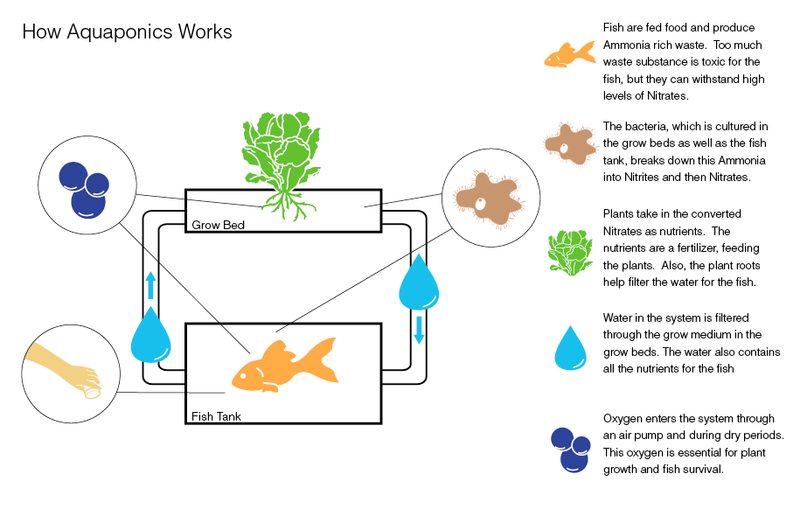 In Aquaponics you try and create a balanced eco-system - where the fish and the plants are in a balance. If you have too many fish, then the plants will not be able to extract enough of the nutrients and clean the water, if you have too many plants, then there will not be enough nutrients in the water for all of the plants. That may sound difficult to achieve, but it is easier then it sounds! By following some simple guidelines you can easily achieve this balance. In Canada, Vancouver Island University is experimenting with aquaponics in their Fisheries and Aquaculture department. 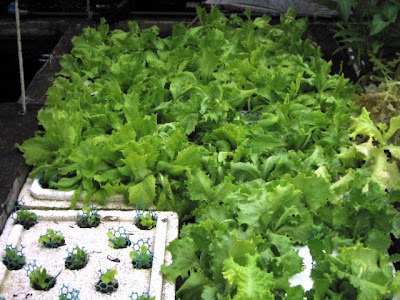 Ann McCarthy provides an introduction to how aquaponics works. The following two minute YouTube video below by Aquaponics Australia is a great introduction to Aquaponics. Have a look at Murray Hallam's Aquaponics setup in his promotion of his Aquaponics Made Easy DVD. You will see a terrific example of the food and fish an aquaponic system can produce. In the video you see Murray planting a plant into expanded clay (aka Hydroton). Like hydroponics, no soil is used. So an alternative media is use to support the plants. 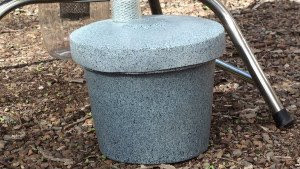 Many people use gravel (10-15mm, 0.4-0.6 inch preferred) in their backyard aquaponics systems. The good bacteria needed in an aquaponics system grows in this media. The ideal conditions for this bacteria to grow include a depth of 30cm (1 ft) in a media that has lots of nooks and crannies in the media for the bacteria to grow - this is why gravel or expanded clay is an ideal media for aquaponics. Commercial systems won't used a media - typically they float the plants on the water in what is called a floating raft. This means that they need special biological filters to grow the good bacteria. For a technical definition of what Aquaponics is, checkout the Aquaponics definition at Wikipedia. There are now excellent books and DVDs available on Aquaponics. The a list of books and DVDs on the right of this page. Here is a two part segment on setting up a small indoor aquaponic system at home. Patti Moreno aka the Garden Girl shows another way of setting up a simple indoor aquaponics system. Indoor aquaponic systems won't produce the results an outdoor system will. The main reason for this is because of artificial lighting vs the sun - the sun wins every time! But indoor systems are great to get your aquaponic appetite wet!